Still bummed about Facebook's Parse being given the pink slip? In this post we take a look at twenty free (and secure) alternatives! Since Facebook announced the end of Parse, we’ve been looking at the best alternatives for sending push notifications. Push notifications are an essential tool for engaging and retaining users. Developers can use them to send their users reminders, let them know about recent updates or ask for reviews and feedback. Using a reliable service for push notifications helps if you want your app or game to have active users. Until now, Parse has been one of the best suppliers of this service. Unfortunately, it ends, in it’s current form, after January 2017. It’s becoming an open-source project and won’t offer all the same services as it used to. Since this news broke in January 2016, a number of alternatives to Parse have grown in popularity. We’ll take a look at what these services have to offer and how they compare to the original Parse Push notification service! Plus, find out how to integrate a push notifcation service into your V-Play App or Game with a simple code snippet! The new service should provide a free usage plan so developers can try it out for themselves and see how to get started. Signing up for a service without the ability to test their push notification features in a real world scenario is a serious roadblock for most developers. The new plugin should provide the same feature set we already offer with our Parse plugin. We still want the ability to send push notifications on a transactional basis to single devices, all devices of a user, or a group of users. This is an essential feature that must be supported. The concept of channels, used within the Parse plugin, is an optimal design pattern that we want in any potential replacement. We were looking for a scenario where transitioning from one push provider to another would only take a few seconds. The best case would see you as a Parse Plugin user making only one change to your code, simply changing your item’s name to see the new service properly set up. Like Parse, a new plugin should handle the platform-specific differences between iOS and Android transparently, both in the app or game code, and from the back end side. Ideally, sending pushes from your server shouldn’t get out of control when sending different requests for iOS and Android, and dealing with sockets or customized payloads. We wanted to stick with a simple HTTP request, sending a JSON body, and the rest being handled by the push plugin when possible. We also kept in mind that we’d probably want to have the option of supporting push notifications on new platforms in the future. So services that already provided push notification support for Windows Phone 10, Ubuntu Phone or desktop notifications earned extra points. Google Cloud Messaging (GCM) soon became our favorite for a feature-complete Parse substitution for V-Play developers. Google provides an abstracted push service for both iOS and Android, using Push only is free, and Google’s topics can be created from your app without any additional server-side code. Furthermore, as Parse is already using GCM service as a foundation for sending pushes, push performance is identical to using Parse. As we started implementing GCM, we also had another look at alternatives for the V-Play Game Network. We wanted to find a way of sending and receiving push notifications for game invites, user chats or friend requests. Based on this simple feature set, we had a look into OneSignal. OneSignal supports a wide range of platforms, including iOS and Android and also supports a similar feature to Parse channels, called tags . You can set a collection of tags on a device and target your push notifications based on those tags. This looked promising! Depending on the device language, only the set language will be sent to the device and shown in the push. OneSignal service is free for all push notifications and provides a lot of features. These are covered in our documentation. While there are many great services out there, a lot of them missed our basic requirements for app and game push notifications. Some of the services lack a free plan for transactional push notifications, although they are reasonably priced for their rich feature set, such as Batch. Unfortunately, Batch doesn’t provide a concept like channels for transactional pushes. It’s only possible to assign a single value for identifying users across devices. They have a great feature set though so we will be keeping an eye on any developments regarding the Batch service. 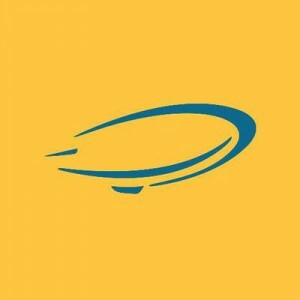 Urban Airship does a great job at handling marketing and campaigns. They automatically segment users based on events triggered from within your app, something it has in common with Batch. These features are quite nice for advanced use cases, but they’re not suitable as a replacement for Parse. Their initial set up for a new push service is much harder than the current method. Also transactional pushes with Urban Airship aren’t that feature-rich, as is the case with others. Amazon SNS looked great when we first considered it. There’s a free plan, transactional push notifications and Amazon provides a similar concept to Parse’s channels, called topics. Unfortunately, it’s not possible to create new topics on-the-fly. You have to create topics from your server-side code first, making things a lot more complicated for your back end. When trying to do this with Amazon SNS, you first have to explicitly create this channel/topic (“userId”) from the back end. It’s not possible to create topics on-the-fly. And there’s another restriction on Amazon SNS: You can only create up to 10.000 topics per app. While this might seem like more than enough, if you create a sports news app that sends out push notifications for a range of sports, it’s not possible for all your users to get a unique channel. Instead, you would have to manage tokens and users in your own database backend. Note: Amazon released an even newer push notification service just as this article was being written. You can check out Amazon Pinpoint here. Firebase was acquired by Google in 2014 but it was only this year that they started to support push notifications. It also added advertising through AdMob integration and analytics for mobile developers. These sound like cool new features, but Google basically just added GCM as a push back end and AdMob for advertising and renamed them “Firebase”. 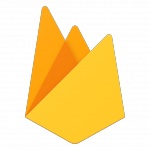 As we currently support both features with our GCM and AdMob plugins , Firebase isn’t ranked as highly as you might expect. We are however looking into other features of Firebase and will keep you updated on this one! Accengage offers a range of Push services for mobile developers, from CRM connections to Push Geomarketing. You can try it for yourself with their free demo but it will cost you to use their full services. The main advantage of this service is the ability to segment users in a number of ways. You can segment your users based on a range of behaviors and target them for better engagement. The lack of a full free service is the only thing stopping it from being ranked higher. This service is dedicated specifically to sending push notifications and is priced depending on how many active users you have. Their free tier allows you to engage with up to 100 monthly active users. Anyone looking for advanced push notification features as standard should take a look at Catapush. They offer guaranteed delivery, delivery statistics, and 2Way communication through push. While QuickBlox isn’t an all-in-one service, it does offer separate SDKs for sending push notifications with iOS and Android. And their free plan lets you send 20 notifications per second, as long as you have less than 20,000 users. We can’t attest for how easy it is to send these notifications or what customizable options are available. But their free plan definitely offers value for developers working within a restricted budget. Boxcar calls itself the “Universal Push Notification Platform” and is another service worth checking out for those with a smaller budget. It offers cross-platform support for iOS and Android and let’s free users send 200 Pushes Per Minute. On top of that, the team at Boxcar.io reckon they have the fastest Push notification network on the market. For a couple of months now, the Parse open-source server has been supporting the sending of push notifications. However, there are important features missing like sending queues, so it’s not really production-ready as of now. 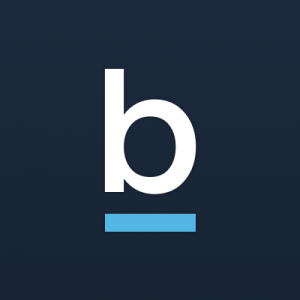 Backendless offers a fully-functioning mobile-backend-as-a-service to developers. This service includes the ability to send push notifications from client or server and has cross-platform capabilities. Perhaps the strongest feature of the Backendless MBaaS is the ability to push to iOS, Android, Windows Phone and Amazon users at the same time. Backendless offers a free license with extra features available when you need them. 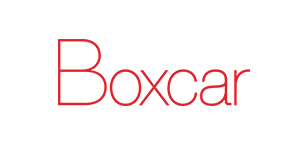 If your main concern when finding a Parse alternative is avoiding downtime during migration, then Sashido is a strong choice. They offer to migrate your services with zero downtime. Sashido also offers 24hr support. You can start your 14-free trial to see how quick migration really is and see if the service suits your needs. After that, you can use Sashido on a pay-as-you-go basis, choosing only the services you need! Syncano offers the ability to send push notifications to Android and iOS users. This is possible from a dashboard that was designed with ease-of-use in mind. Syncano is a customizable tool with the ability to add sockets to your app. You can get started with a 30-day free trial and continue using Syncano’s services from $25/month once it ends. TeraData, or Appoxee as it was once known, offers their own complete tool for sending push notifications. TeraData offers a campaign builder, personalization options and a dashboard for tracking the success of push notifications to iOS and Android devices. A demo of TeraData is available on request. Although Kumulos is mainly aimed at app marketing agencies, it may have some use to you as a developer. It offers cross-platform push notifications for Android and iOS and user segmentation features. Kumulos services begin with a free trial and can be used on a pay-as-you-go basis after that. Not only does Carnival offer push notifications, it provides a range of rich messaging services. These allow you to customize your push notifications with images and videos. The service also includes the ability to send in-app notifications and deep-link messages that bring your user to a different part of your app. Carnival starts with a free demo available upon request. StreetHawk offers push notifications for Android and iOS users along with a host of other user retention and engagement solutions. With a simple integration model and the ability to send triggered notifications, it may be worth checking out. StreetHawk starts as a free trial and integrates with a number of services such as Flurry. Mixpanel and Segment.io. This service offers the ability to send push notifications to up to 500,000 devices free. It has support for Android, iOS, and 19 other platforms. If you’re interested in more than sending push notifications, things can get pricey quickly with this service. Their first paid license starts at $50/month, although it’s stacked with features. Kinvey offers enterprise-level solutions for a number of business, but you can’t forget it’s MBaas too. Along with Push Notifications, it offers data storage, location tracking and more. If you have a large project in mind, it may be worth getting in touch with Kinvey to see what kind of a deal they can do for you. While there’s no free trial to speak of, you may be interested to sign-up and take their free tutorial to see if you’re interested in what they have to offer. For further information on how to integrate the OneSignal Plugin with your V-Play app or game, see our documentation. To summarize, we decided to go with two plugins for now: Our new OneSignal plugin, which features an easy setup and simple, targeted push notifications. And the new Google Cloud Messaging plugin that supports advanced use cases like client-side localized push notifications and invisible background downloads, as already provided by our Parse plugin. You can access V-Play Plugins for monetization, analytics and more with the V-Play Indie License. To test the plugins for yourself, download our Qt Plugin Demo App from the App Store and Google Play. For the full source code of this sample app, including all V-Play Plugins, you can check out this GitHub sample.